The 150w/sqm Roma Aluminium Foil heating mats are ideal for use as either a primary heat source or secondary heat source for under wood, laminate or ‘click’ vinyl floors. The mats are available in multiple sqm sizes, with the foil backing ‘cut and rotated’ in order to fit each mat into your proposed area. 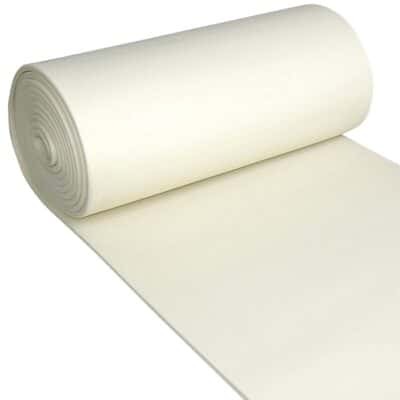 For your consideration the 150w/sqm Aluminium Foil should be laid with our 6mm impact plus insulation or our 6,10 or 20mm Hib hard thermal insulations boards impact plus insulation which you can find in our store, or in the related products section at the bottom of this page. Any questions or queries please don’t hesitate in contacting us. 150w Under Laminate Heating can be laid under any ‘click & lock’ floor. 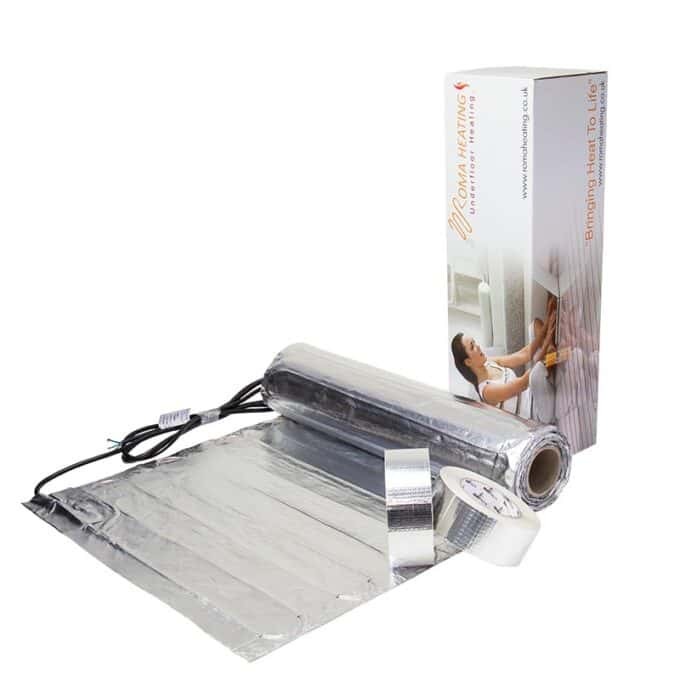 The 150W Aluminium Foil for under Laminate heating can also be installed under a Real or Engineered Wood and even a ‘click’ Vinyl floor. These under laminate heating mats range from 1sqm to 12sqm, with larger areas made up with more than the single mat. in order to cover your proposed area, the foil backing is cut and then rotated to fit (please note that the foil backing is cut – not the heat element itself). 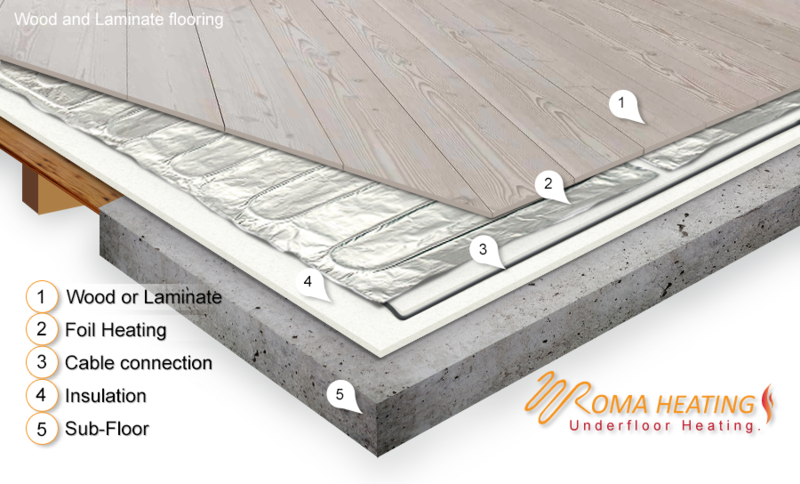 The under laminate heating mats must be installed on top of insulation and not directly on to your concrete or wood sub floor. We strongly recommend that either the 6mm impact plus insulation, or 6,10 or 20mm XPS thermal boards (under click vinyl) be installed beneath the Foil mats, to safe guard the heating and it’s warranty. You can then lay your final ‘click’ flooring directly on top. The under laminate heating mats are easy to install, and unlike the 200w bespoke Film mats, can be installed inside bathrooms or wet rooms. 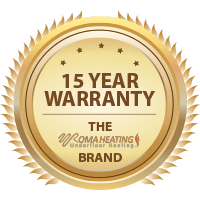 The foil system comes with step by step instructions on how to install underfloor heating, and a full 15-year manufacturers warranty. We recommend that the matting is covering at least 80% of your floor, in order for it to serve as a primary/sole source of heat. Alternatively the system can be used as a secondary heat source if you wish, with less heating installed as and where you require. ·Ultra thin, only 1.5mm thick. Foil Underfloor Heating Technical Specification. Perfect… Thanks guys, for a speedy delivery too! !